Unlike the Caribbean where global warming and coral disease has taken its toll, underwater Bermuda, which is the most northerly coral reef system in the world, is in great shape. There are wonderful hard corals and sea fans, the fish are very healthy and grow to large sizes. Although the vibrant vase and huge barrel sponges of the Caribbean are absent, this is more than made up by the diversity of diving including shipwrecks - some 150 of which are diveable. The parrotfish are amazing and Bermuda can certainly lay claim to being the 'Parrotfish Capital of the World'. 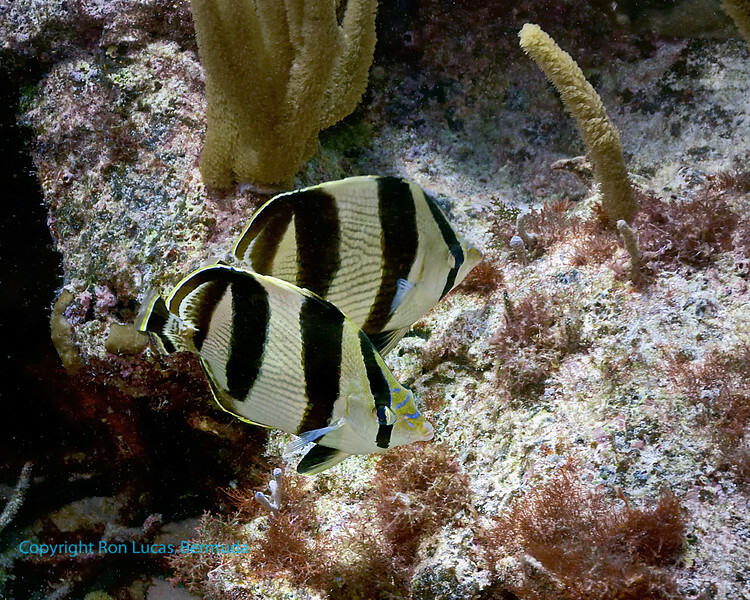 This gallery is a sample of what you may see diving or snorkeling on the reefs.